Irish horse Master of Hounds will carry Irish hopes into the Kentucky Derby today. Ridden by Garret Gomez, widely considered the best in the game Master of Hounds is hoping to capitalize on a very weak field as the 137th run for the roses gets under way. He has only run once this season but Aidan O'Brien is perhaps the greatest trainer in Europe and will have the horse fit and ready. He may even surprise by racing up with the pace. In his last race in Dubai he was first out of the gate and almost carried his speed all the way. The other Irish interest is Santiva trained by Waterford horseman Eddie Kenneally. He has won at Churchill Downs as a two-year-old, which is a great plus given that many horses do not handle the track. He ran a very disappointing race in the Bluegrass but seems to have trained well all week at Churchill. 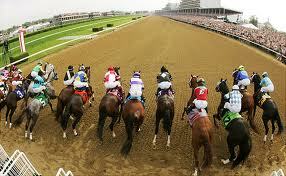 Irish American trainer Kiaran McLaughlin will also be hoping for Derby Roses with Soldat, ,my pick in the race.